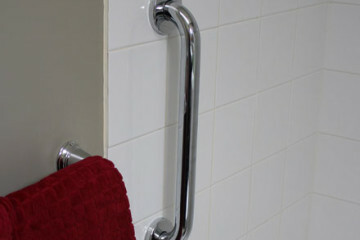 Grab Bars For Bathrooms | Showers | Stairs | Toilets Professionally installed grab bars provide comfort and safety to a bathroom. Please contact us for the many styles, colors and options available. 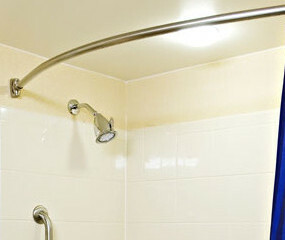 A curved shower rod can enhance the appearance of a bathroom and provide up to 30% more space in a tub or a shower. 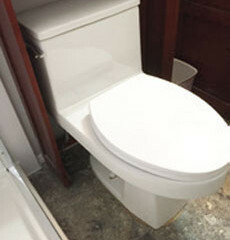 These can be installed in most bathrooms and are available in a variety of colors.